Alcohol for many people is quite the exciting and tasteful way to kick back from a hard day of work, stressors within the family and so on. But the interesting element is that a lot of people do not realize the ingredients and actual process of making different alcoholic beverages. We are going to go over the techniques on how that specific ingredient plays in the role of making alcohol. Where did this malt liquor come from? Well, the actual term in itself was essentially recognized in the country of England from the year 1690, which meant at that time together, encircling beer and ale together. An interesting key fact of the first mention of malt in North America appeared in a patent, which was actually issued from the Canadian government on the real date of July 6, 1842. It was known in North America as an improved alcohol testing method and technique for brewing beer, ale, porter, as well other malt liquors. 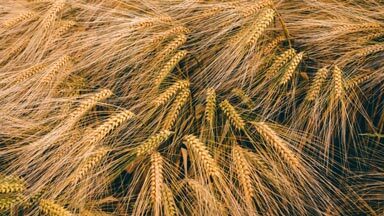 Malt, simply is barley or other types of grain in which has been steeped, germinated and dried. This happens for the reason of brewing or distilling vinegar-making. So basically, malt is germinated cereal grain, which are dried through a process called malting. Malt can actually be found in other substances than just alcohol alone. Malt can be found in rice, wheat, oats, and certain types of bread. Malt is created within the format in which the grains germinated simply by soaking them water, which are then halted from the actual germinating process further by drying with hot air. There are three consecutive phases of the process. The first phase includes the washing and soaking of the malt, which will be in water. The second phase includes the maintenance of the growth or sprouting of the grains and the final step of the creating process would include the actual drying of the sprouted grain and this is done in regards to stop the germination process. Sounds pretty neat, doesn’t it? A lot of people may not realize, but there is quite a difference between malt liquor and beer itself. First, let me go ahead and explain what malt liquor is. Malt liquor is fermented from the bottom, making it have a higher content in alcohol itself, while on the other hand; beer as in regular beer is fermented from the top or the bottom. Malt liquor still, will have a higher content of alcohol intertwined though. Malt liquor will most always contain added sugar, corn or some other ingredients which will most definitely increase the alcohol content. On the other hand, regular beer usually always contains less than 5 percent alcohol, which making it hold less content than malt liquor. So, when it comes to beer testing, a person will more than likely not feel much of a buzz from it. So, would you be brave in regards of alcohol testing, to try some spicy malt testing beverages? Located in Coopersville, MI, Alliance Analytical Laboratories is an alcohol and beer testing lab with national and international capabilities. Contact us today to request a quote or call us directly at (616) 837-7670.